NEW ALBUM OUT – SEE OUR LATEST NEWS PAGE TO PURCHASE! The Triumphs are a UK based Joe Meek Tribute Band. Ray Liffen, vocals, lead, bass and rhythm guitar who is a member of the Joe Meek Society. Trevor Faull, keys, and Instrumentals guru, who just loves Joe’s music. Rob Bradford, vocals, ex-chairman of the Joe Meek Society, their Newsletter Editor and Archivist. Ken Penrose, drums, who is a former chairman of the Society. 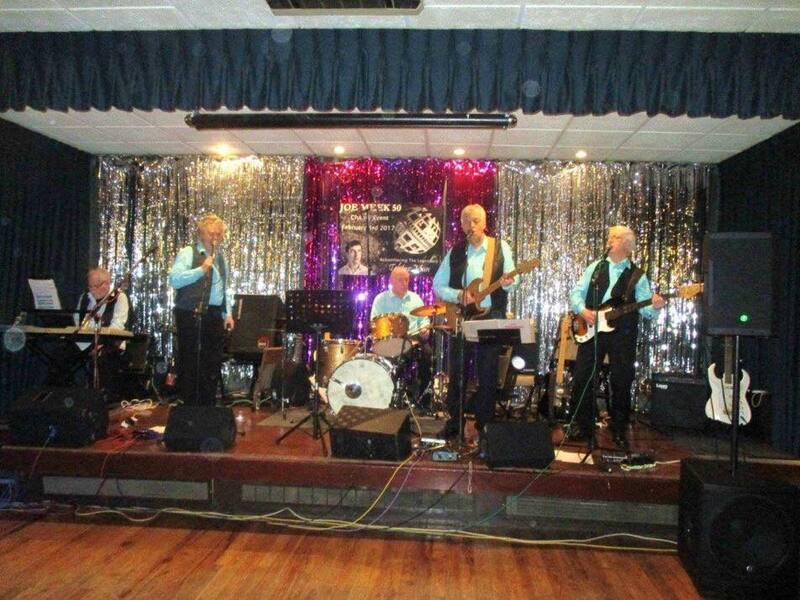 The band is available for gigs and plays the music of the 50s, 60s and 70s. At exclusively Joe Meek music events the band is also able to play a wide variety of Joe Meek’s music, including the obscure and unreleased material.